The Clinical Trials Corner of the Bladder Cancer Journal is a section devoted towards highlighting ongoing trials or recently completed trials in urothelial cancer. Our hope is to encourage accrual for ongoing trials and to educate readers on the results of completed trials. If you feel that you would like to draw attention to a specific trial, please feel free to email us at: piyush.agarwal@nih.gov and/or cnsternberg@corasternberg.com. This is a Phase III, randomized clinical trial comparing pembrolizumab for up to 2 years to chemotherapy in terms of OS and PFS. The chemotherapy regimen consists of either paclitaxel, docetaxel, or vinflunine and in a recent amendment, patients are able to crossover to receive pembrolizumab if they experience disease progression with chemotherapy. Eligibility is limited to patients with histologically confirmed UC with measurable disease after previous platinum therapy. Until recently, there were limited options for patients with locally advanced/unresectable urothelial cancer (UC) that has recurred or progressed after combination platinum-based chemotherapy. Given the activity of PD-1/PD-L1 inhibitors in the metastatic setting, this randomized trial aims to compare the impact of pembrolizumab on overall survival (OS) and progression-free survival (PFS) compared to chemotherapy (investigator’s choice of paclitaxel, docetaxel, or vinflunine). Previous Phase III results demonstrated longer OS in the pembrolizumab group and the updated results were presented at ESMO. Additional follow-up confirms superior OS of pembrolizumab immunotherapy over chemotherapy as second-line treatment after cisplatin based combination chemotherapy. With median follow-up of 22.5 months for both treatment arms, median OS was significantly longer in the pembrolizumab arm in all patients (10.3 vs. 7.4 months; HR 0.70, p = 0.0003) which was an improvement over the earlier analysis with HR of 0.73. In patients with PD-L1 combined positive score (CPS; % of PD-L1 expressing tumor and inflammatory cells) 10%, median OS was also improved with pembrolizumab vs. chemotherapy (8.0 vs. 5.2 months; HR 0.58, p=0.003). The overall response rate was greater with pembrolizumab (21.1% vs. 11.0%) and treatment-related AEs of any grade were fewer (62.0% vs. 90.6%). However, PFS was not statistically different between the groups. This is a single arm, Phase II study for muscle-invasive bladder cancer patients who are not cystectomy candidates or refuse cystectomy. Since the combination has not been evaluated together, there is a safety lead-in cohort of 3-6 patients. Building on the success of chemoradiotherapy for muscle-invasive bladder cancer and immunotherapy in bladder cancer, this trial combines pembrolizumab with gemcitabine and radiation therapy for muscle-invasive bladder cancer. The hypothesis is that the addition of a checkpoint inhibitor can achieve better local and systemic control of disease. The primary endpoint is the two-year bladder-intact disease-free survival rate. This is freedom from bladder recurrence, pelvic recurrence, distant metastases, bladder cancer-related death, and cystectomy. Secondary endpoints include the following: safety, complete response rate, overall survival, and metastasis-free survival. This trial expands on traditional inclusion criteria for chemoradiotherapy by allowing up to T4a tumors to be included and there is no exclusion criteria for associated CIS or hydronephrosis. This is concerning as we know from radiation literature that patients with these adverse pathologic features do not respond as well to chemoradiotherapy. Finally, a complete TURBT is not required for inclusion and this is most concerning as the radical TUR may be a critical part of the bladder-sparing approach. Perhaps the addition of immunotherapy can compensate for these adverse features and possibly expand the role of chemoradiotherapy. This is a single arm study treating patients with TURBT and then concurrent radiation therapy and chemotherapy. The chemotherapy regimen consists of either cisplatin or mitomycin plus fluorouracil, similar to that used by the MRC for locally advanced bladder cancer . Eligibility is limited to patients with recurrent Ta or T1 high grade tumor after BCG therapy or patients in whom BCG is contra-indicated or patients that refuse BCG therapy. James ND et al N Engl J Med (2012) Apr 19;366: (16):1477–88. Radiation combined with radiation-sensitizing chemotherapy has been effective in well-selected muscle-invasive bladder cancer patients. However, options for T1 bladder cancer refractory to BCG are limited and include radical cystectomy or experimental therapies. This trial applies trimodal therapy to T1 bladder cancer patients in the hope of sparing their bladders and effectively treating their disease. The primary endpoint is the rate of freedom from radical cystectomy at 3 years. Secondary endpoints include: rate of freedom from radical cystectomy at 5 years, rate of freedom from the development of distant disease progression at 3 and 5 years, rate of freedom from progression of bladder tumor to stage T2 or greater at 3 and 5 years, disease-specific survival, overall survival, incidence of acute and late pelvic toxicity, recurrence of any local bladder tumor, potential prognostic value of tumor histopathology, molecular genetics, DNA content, and urine proteomics and the American Urological Association symptom scores at baseline and at 3 years. BCG-refractory T1 bladder cancer can be quite aggressive and normally these patients are counseled to undergo radical cystectomy. This clinical trial presents a bladder-sparing option to these patients. This trial is nearing the end of its accrual and the results may establish a new standard of therapy. However, patient selection will be key as it is for chemoradiotherapy for muscle-invasive disease and patients without hydronephrosis, CIS, or variant histology are excluded from this trial. Importantly, patients require a radical and complete TUR for inclusion into this trial. S1605 is a single arm, phase II registration trial testing atezolizumab (PD-L1 inhibitor) in BCG-unresponsive, high-risk non-muscle invasive bladder cancer (Ta/T1/Tis). Eligible patients will receive intravenous atezolizumab every 3 weeks for one year. There are no established 2nd line therapies other than radical cystectomy with urinary diversion for patients with high-risk non-muscle invasive bladder cancer that is unresponsive to BCG. Building on the track record of immunotherapy in this disease in the form of BCG, as well as preclinical drug testing in animal models and the clinical efficacy of checkpoint blockade in the metastatic setting, this protocol aims to test the efficacy of atezolizumab in BCG-unresponsive high risk NMIBC. There are two primary endpoints: 1) the complete response rate at 6 months in patients with carcinoma in situ (CIS; with or without concomitant Ta/T1 tumors) and 2) the event-free survival rate at 18 months in the overall cohort. To the first endpoint, the trial aims to accrue at least 70 patients with CIS. Secondary endpoints include the following: bladder cancer-specific survival, cystectomy-free survival, event-free survival at 18 months in the Ta/T1 subset, incidence of adverse events, toxicity assessment, overall survival, and progression-free survival. Correlative endpoints include expression of PD-L1 status on tumor and immune cells and CD8 in tumor and normal cells by immunohistochemistry (IHC) and expression of immune signatures by RNA sequencing. This trial moves checkpoint blockade therapy into the high-risk non-muscle invasive BCG unresponsive disease setting after demonstrating success in metastatic disease. These patients do have an option for radical cystectomy, which is likely curative and so patients must be appropriately counseled. However, most patients can be carefully screened for enrollment with imaging and strict criteria for previous BCG treatment and can likely be salvaged with surgery or trimodal therapy in the event of disease recurrence or progression. A potential concern is whether a systemically delivered therapy will have activity locally within the bladder and whether it will come at the cost of systemic toxicity. S1602 also known as the “PRIME” study is a three-arm, phase III trial that will compare the effect of BCG strains (Tokyo vs TICE) and the effect of intradermal priming before intravesical instillation in patients with BCG-naïve high-grade non-muscle invasive bladder cancer. Eligible patients will be randomized to either standard intravesical TICE strain BCG or Tokyo-172 strain BCG or priming (intradermal Tokyo-172) followed by intravesical Tokyo-172 BCG. The accrual goal is 969 patients (323 patients per arm). Pre-existing immunity as suggested by a positive purified protein derivative (PPD) test is associated with a higher recurrence-free survival rate after BCG therapy in both patients and pre-clinical murine models. Furthermore, initial reports of BCG therapy in bladder cancer by Morales et al described subcutaneous BCG vaccination of patients concurrent with intravesical BCG. However, patients today are no longer treated with intradermal BCG vaccination at the time of intravesical instillation and are often treated without regard to their PPD status. Therefore, this trial evaluates whether intradermal priming 3 weeks before intravesical BCG instillation improves outcomes at one year compared to intravesical BCG instillation without priming. In addition, given the recent shortage of TICE and Connaught BCG strains and the announcement that Sanofi will no longer manufacture the BCG TICE strain, this trial evaluates treatment response with the Tokyo BCG strain as well. The primary endpoint is time to high-grade recurrence. The secondary endpoint is disease-free rates at 6 months. The primary objectives are: (1) to demonstrate non-inferiority of Tokyo-172 BCG strain compared to TICE and (2) to test the hypothesis that intravesical Tokyo-172 BCG with priming is superior to intravesical Tokyo-172 BCG without priming. All groups will undergo BCG induction followed by maintenance therapy as per the SWOG protocol. 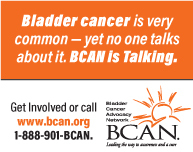 This trial is aimed at BCG-naïve patients and therefore it will be extremely important that each academic center reach out to local community urologists and encourage trial participation and/or patient referrals in order to successfully accrue the nearly 1000 patients required for this trial as these are the urologists who routinely see BCG-naïve disease. PDL-1 expression, the Cancer Genome Atlas (TCGA) Subtype and Mutational Load are independent predictors of response to atezolizumab in Metastatic Urothelial Carcinoma (mUC, IMvigor 210). Immunologic correlates corresponding to the TCGA Subgroups were evaluated and updated at ASCO (Rosenberg JE et al). It was shown that PDL-1 status, TCGA subgroup (particularly the luminal subgroup) and mutational load were independently associated with response to atezolizumab. The luminal subgroup was associated with a more inflamed environment than the basal subtype. The luminal subtype was also found to have high Teff cells and low stromal gene expression. Assessment of these characteristics may define drivers of immune responses. Further work on the biology of immune response to checkpoint inhibits is clearly a priority. Phase I/II multicenter first in human study with standard 3+3 dose escalation in advanced solid tumors. The primary endpoint included safety and tolerability. The secondary endpoints include objective response rate, progression-free survival, overall survival, and PD-L1 expression on both tumor cells and tumor infiltrating immune cells. This is a first in human study of Medimmune’s PD-L1 inhibitor durvalumab (MEDI4736) focused on dose expansion in a urothelial bladder cancer cohort (Massard C et al). Durvalumab had a reasonable safety profile and ORR was greater in the PD-L1+ group versus the PD-L1 negative group. Of note, each trial has used different definitions for PD-1/PD-L1 expression. Expression does appear to correlate with response with some tests but absolute numbers are variable across different agents and different studies. Phase III trials are ongoing with this agent in bladder cancer. 61 bladder cancer patients were enrolled. Drug-related adverse events occurred in 64% and only 3 patients had ≥grade 3 adverse events. Objective response rate (ORR) was greater in patients with at least 25% or greater PD-L1 expression in either tumor cells or tumor infiltrating immune cells versus less than 25% expression in both (46% vs. 0% ). ORR was 46% in the PDL-1 subgroup vs 0% in the PDL-1 negative group. For the whole population, the RR was 31% . Median duration of follow-up was26 weeks. Limited versus extended pelvic lymphadenectomy in patients with bladder cancer undergoing radical cystectomy: Survival results from a prospective randomized trial (LEA AUO AB 25/02). This is the first randomized surgical study in bladder cancer randomizing patients with pT2 or greater disease and without neoadjuvant chemotherapy to either a limited lymph node dissection or an extended lymph node dissection. The limited node dissection consisted of external iliac, internal iliac, and obturator lymph nodes while the extended lymph node dissection included these areas in addition to the deep obturator, presacral, interaortocaval, paracaval, and periaortic lymph nodes up to the inferior mesenteric artery. Patients with organ-confined disease and negative nodes were observed whereas patients with non-organ-confined disease and/or positive lymph nodes were offered adjuvant chemotherapy. The primary endpoint was 5-year recurrence-free survival (RFS). Secondary endpoints include complication rate, influence of adjuvant chemotherapy, disease-specific survival, overall survival, and local recurrences and distant metastases. The proximal extent of a lymph node dissection (LND) at the time of radical cystectomy has always been an issue of controversy. Some reports suggest that a dissection to the common iliac bifurcation or to the ureter crossing over the iliac vessels is adequate whereas others suggest that more proximal dissection to the inferior mesenteric artery may affect survival. Furthermore, removal of the presacral lymph nodes and the deep obturator lymph nodes are not routinely done by all surgeons. Although there was a trend towards improved survival in the extended LND group, there was not a statistically significant difference. There are two factors likely for this as 1) the limited LND was still extensive in these patients as evidenced by a median lymph node removal count of 19 and 2) the magnitude of benefit was probably overestimated from an extended LND and the rate of recurrence in the limited LND was also overestimated. The benefit was seen in the organ-confined group on post-hoc analysis, however, no patients with neoadjuvant chemotherapy were included and perhaps this difference would have disappeared with the addition of neoadjuvant chemotherapy? However, adjuvant chemotherapy appeared have a statistically significant benefit even though its use was limited. It will be interesting to see the conclusions reached by the ongoing SWOG 1011 trial but this study failed to show a benefit based on its design. Ultimately 437 patients were randomized but 64 patients dropped out due to inclusion/exclusion violations leaving 190 patients in the limited LND group and 183 in the extended LND group by an intention to treat analysis. Median follow-up was about 33 months. The lymph node positive rate was 27.4% for the limited LND group and 20.2% for the extended LND group. Overall, the positive node rate was 23.9% among patients and approximately 14% of patients received adjuvant chemotherapy. The median lymph node removal was 19 for limited LND and 31 for extended LND, p < 0.01. The 5-year RFS was 61.5% for the limited LND and 67% for the extended LND, p = 0.34. Secondary endpoints were also not statistically significant including 5-year disease-specific survival, 5-year OS, and complication rate. On post-hoc analysis of organ-confined tumors (pT2), there was a survival benefit in 5-year RFS (62.5% vs. 85% , p = 0.01) and 5-year OS (59.1% vs. 79.8% , p = 0.04) favoring the extended LND group. In 89 patients with positive lymph nodes, adjuvant chemotherapy improved median RFS (35.9 months vs. 8.8 months, p = 0.0002). Phase II, single arm multi-center trial of atezolizumab in patients with locally advanced or metastatic urothelial bladder cancer. Two cohorts were planned: Cohort 1 consisted of 119 treatment naïve patients who were cisplatin ineligible and Cohort 2 consisted of patients who had progressed during or following platinum therapy (see below). The results of cohort 1 were presented at the ASCO meeting for the first time (Balar AV et al). The primary endpoint was objective response rate (ORR) and the secondary endpoints were duration of response, progression-free survival (PFS), overall survival (OS), and the incidence of adverse events. PD-L1 checkpoint blockade has recently received FDA approval for metastatic urothelial cancer refractory to standard chemotherapy and the results of Cohort 1 are exciting because this is the use of such therapy as upfront therapy for locally advanced or metastatic urothelial bladder cancer in patients who are ineligible for cisplatin-based chemotherapy. This is the first study to present atezolizumab as upfront therapy for urothelial cancer. The results are encouraging for the use of checkpoint blockade inhibitors as first line therapy, especially in patients unfit for cisplatin. Most patients were ineligible due to renal impairment. Median follow-up for patients was 14.4 months with ORR of 24% , and responses we seen in all PDL-1 IC subgroups. Responders included patients with poor baseline prognostic factors. Median overall survival was 14.8 months. Severe adverse events were noted in 10–15% of patients including hypothyroidism, liver function abnormalities, rash, and diarrhea, with a low rate of Garde 3-4 side effects. Phase II/III, single arm trial of mycobacterium phlei cell wall – nucleic acid complex (MCNA) in patients with non-muscle invasive bladder cancer (high grade papillary tumors and/or CIS) who are refractory to BCG therapy. Patients treated with an induction course followed by maintenance therapy up to 2 years. The primary endpoint was 1-year DFS and secondary endpoints were duration of disease-free survival (DFS), progression-free survival (PFS), and overall survival. MCNA is a nonpathogenic and nonviable strain of mycobacterium that may potentially offer the benefits of BCG without the potential toxicity. Furthermore, it may be a viable substitute for BCG shortages. After publishing the results, the drug was presented to a FDA panel for a biologics license application and voted down 18-6. Unfortunately the primary endpoint fell short of the intended result (1 year DFS ≥ 40%). Furthermore, the FDA calculated the true DFS to be 20.9% at 1 year. In the FDA analysis, DFS in CIS-containing patients was also evaluated separately as the absence of tumor in these patients is unlikely to result from bladder biopsy/TURBTs (as opposed to papillary tumors). By looking at only CIS containing tumors, DFS did not appear as robust (18.8% DFS at 1 year). Finally, we now know that the intended endpoint of improvement in DFS was much higher than it needed to be as an absolute improvement of 10-15% in BCG-unresponsive patients may be clinically significant. The two main learning points were a) that studies should enrich their population with CIS-containing patients and b) that studies should aim for an absolute improvement of 10-15% over historical controls in endpoints even though this will require the enrollment of more patients. Overall DFS was 25% at 1 year and 19% at 2 years. PFS was 87.3% at 1 year. The median time to cystectomy was 263 days in MCNA responders vs. 174 days in non-responders. Overall, 15 patients (11.6%) developed metastatic bladder cancer.